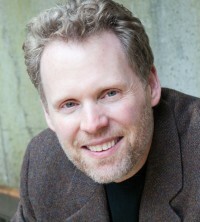 This episode’s guest speaker is Steve Bell, a longtime lean thinker. While his background is in the IT and Agile spaces, Steve’s passion is using lean to help NGOs and nonprofits. I think you’ll find Steve’s ability to improve lives truly inspiring…I know I did! To hear the podcast just press the “Play” button at the top of this post. An MP3 version is also available for download here. The easiest way for iPhone users to listen to the show is via the free, and incredible, Podcast app. You can download it here. CLICK HERE to subscribe to the Gemba Academy podcast on iTunes. It may take up to 24 hours for your review to appear. If you have a question you’d like us to respond to in a podcast or email please let us know by leaving us a free voice message below. You can also email us if that is more convenient. Ron Pereira: You’re listening to episode 10 with Steve Bell. Announcer: Welcome to the Gemba Academy podcast, the show that’s focused on helping individuals and companies achieve breakthrough results using the same continuous improvement principles leveraged by companies such as Toyota, Del Monte, and the US Department of Defense. Now, here’s your host, Ron Pereira. Ron: Hey there. 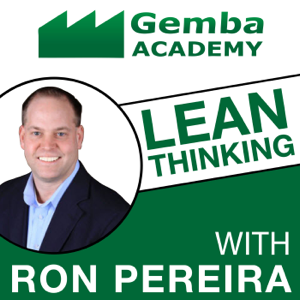 This is Ron Pereira with Gemba Academy, and I’d like to welcome you to another edition of the Gemba Academy podcast. As always, thank you so much for taking time out of your day to listen to what we’re up to, and a special shout-out to all the Gemba Academy customers out there who are with us and watching our videos and trying to really improve their businesses and ways of life. Thank you to everyone out there. Today, I’m really excited to welcome a gentleman named Steve Bell to the show. Steve, as you’ll hear, is a longtime lean thinker. He does a lot of work in kind of a lean IT space and does some work in the Agile space. But that’s not what we’re going to talk about today. In fact, we’re going to talk about I guess what Steve would define as something that he does on the side but he’s obviously extremely passionate about it and that is some non-profit work, or NGO work as it’s referred to. Basically, he’s working in places like Uganda, and less fortunate places than most of us listening live. He’s going over there and he’s helping these folks apply lean thinking principles to their way of life and, perhaps if they’re farmers or whatever it might be, to really try and improve folk’s lives, and to help people make enough money so they can send their kids to school and feed and clothe their children. So, some really, really powerful stuff. Steve shares some extremely powerful stories in this episode. It really touched me and I hope it touches you. I do want to really give a shout out to Steve’s website. We’re going to mention it in the episode several times. It’s lean4ngo.org. Again, lean4ngo.org. All the show notes for this episode — there’s going to be some important links — can be found at gembapodcast.com/10. So, gembapodcast.com/10. Enough for me, let’s get to the show. Steve, thank you so much for taking time to come on to the show today. Steve Bell: Thank you for having me, Ron. Ron: What part of the country are you calling in from today, Steve? Steve: I am calling in from Portland, Oregon, which is on the west coast, and we’re having a beautiful sunny spring day today. Ron: Steve, we have a unique topic today I’m really excited about. Before we dive into that, why don’t you just give everybody a little bit of background on who you are and how you first came into this whole continuous improvement world? Steve: My area of specialization is applying lean thinking to the domain of IT, information technology. I’ve spent about the last 25 or more years working with lean in terms of ERP systems. I started in manufacturing, but I do a lot of my work nowadays in financial services and other types of services, and spent a lot of my time working with IT professionals helping them to drive continuous improvement and innovation within their organization and through the business. That’s my day job. That’s what pays the bills that funds my real passion, which is bringing lean thinking into the word of nonprofits and NGOs, as they’re known internationally — nongovernmental organizations — and the under-served populations around the world. Ron: That is going to be the topic of the podcast today. But before we get into that, Steve, we always like to have our guests share a quotation. It could be leadership or continuous improvement slanted, whatever you’d like, that inspires you. What quotation inspires you, Steve? Steve: You shared with me you were going to ask that question and I have really pondered it, and I’ve had a hard time landing on any one particular quotation because there have been so many thought leaders in the lean world for the last several decades that I’m going to go a little off script here and say it’s not a quotation from any one particular individual. What I have learned in my decades of practice with lean is the key is to make any situation you’re working in visible. If you get people up at a whiteboard with pens and sticky notes and butcher paper, and really sorting out a problem or a process, they get beyond their emotions, they get beyond what they think the problem is and they really get into visualizing what really is. That’s when people become teams and start solving problems for themselves. My own quote is make everything visual. Ron: Yeah, I love that. I love that. Let’s get into this lean NGO world. So your organization goes by Lean4NGO. Is that right? Steve: Right. The website is www.lean4ngo.org. Ron: We’re going to link to that in the show notes which everyone can find over at gembapodcast.com/10. What inspired you to start this organization, and how does it work? Steve: First of all, what inspired me. For many years I was involved in humanitarian activities, volunteering activities, and my passion for many years was something called microfinance, which has been around for about 30 years now. Many of you may be familiar with kiva.org, which is a consumer site that allows you to fund budding entrepreneurs worldwide. The notion behind microfinance is that poor people are resourceful, they’re innovative, they’re hard workers, but they lack access to capital. For just a few dollars, a very poor person can start up a business and feed their family and put clothes on their kids and send them to school. These, by the way, are mostly women that are doing this. There are millions and millions of these loans out there every day all around the world. When I saw those on the ground, when I’d actually go out into the field and see these micro-entrepreneurs working, I saw so many similarities to lean principles of innovation, of continuous improvement. A couple of years ago when “The Lean Startup” book was published, I realized that every microentrepreneur anywhere in the world is a lean thinker and can benefit by those practices. I became very passionate in that. My wife and I started what is a very modest organization which primarily consists of a website, lean4ngo.org, and a LinkedIn group, lean thinking for NGOs and nonprofits. The intent behind that group is to bring people around the world, and the membership is very global, together who are practicing lean thinking in their non-profit organizations or even taking lean thinking out into the field to the people they serve and sharing tools and case studies and videos. Anyone in the non-profit world that is really intrigued by lean can get a good start at least by visiting this organization and starting a dialogue with its members. It’s free, by the way. There’s no charge whatsoever to this. I’m just putting it out there. Ron: Now is it a 501(c)3? Steve: At this point, it’s not. That may be in the future. You start a 501(c)3 so that people can make contributions that are tax deductible, but right now my wife and I are just self-funding it. The proceeds from my last book that I published I dedicated to supporting this. For the while, that’s all it really requires. Ron: Let’s dive in a little bit on Lean4NGO. Maybe some success stories or some things that you’ve actually done that you’ve accomplished. When did you start it, by the way? Steve: It’s been in the last three years or so that we started it, and it has grown at a surprisingly steady pace since then. I’ve done a number of non-profit activities, some pro bono and other at a reduced fee, with various organizations both locally and around the world. The one that I’m most proud of…there’s actually a video posted on a site you could see of a presentation I made Grameen Foundation in Kampala, Uganda, where my wife and I spent a week last June in Uganda, went out in the field for a Gemba walk. It was the most amazing Gemba walk out into the fields. Grameen, which is affiliated with an organization that basically is attributed to creating microfinance in the first place back in the ’70s, Dr. Muhammad Yunus in Bangladesh. This organization is experimenting with something they call the Community Knowledge Worker Program, which is an agricultural extension service that puts mobile phones and coaches into the field in the agricultural-rich areas, in this case, in Uganda, bringing knowledge and collaboration into the field with some amazing results in terms of productivity, crop yield, economic social improvement for the families who are participating in these activities. It’s just amazing, the results, when you bring just a little bit of empowerment and knowledge into the hands of these people who are in the field and spend a week there with the organization, teaching lean, a little Agile and Scrum practice on a software development side, and really helping them to improve their productivity. It was an amazing experience. You’ll find a link to that video on the LinkedIn group, and it may also be posted on the linked site within the lean.org. Ron: We can work offline, and I’ll get a link to it from you and we’ll put that in the show notes as well. I’m curious, though. I’m going to push you a little bit here, Steve. Give examples. What did they do? You said they improve productivity. What did you teach them? You teach them 5S with the seven ways word? Did you value stream map? What did you do? Steve: Two things that we did that I feel were the most powerful, we started out in a day with the leadership of the organization, in a room together, around the table. I did some basic lean orientation, principles and practices of lean, and then we broke out for about a two-hour exercise on leadership Kanban. For those of you readers who are lean people, I’m not talking Toyota production system Kanban where there are parts moving at the factory floor, I’m talking more the Agile software development view of Kanban, which is take a piece of paper, put some sticky notes up on the board to manage your demand, manage work in process, make sure you’re not trying to do too many things at once, make priorities and problems clear. I had each one of the leaders of this organization make their own Kanban to manage their own work. That exercise took only about two hours, and then they reported out to each other. The results from that single exercise were amazing. When you ask somebody to actually make their workload and their demand visible, it gives you new insights into maybe why you’re not able to get your work done in a day and better ideas about prioritizing. When all the leaders were able to see explicitly what their peers were doing and were not doing, that was extremely powerful. To this day now, not only all the leaders are maintaining their Kanban boards but many of the development teams have their own Kanban boards as well. That was very powerful, and that was on the first day. Days three and four. Actually, I’m sorry. The first day was the Gemba. We went out to the field. That was day two. Ron: When you said “the field,” what do they got in a field? Are they making stuff, growing stuff? Steve: Yes. The field are thousands of villagers in remote parts of Uganda. Uganda is a heavily agricultural economy. We all got in a bus. It was a Toyota bus, by the way, because that’s the most dependable. We bounced around for nearly two hours and went way out into the jungles and the fields of Uganda where we visited basically two stand-up meetings with two villagers with a community knowledge worker there, with a mobile phone, with cellular coverage. Because even in remote Uganda, they have signals. You’ll find that something in the developing countries, cell signals are very present and they’re high-speed. The idea of developing knowledge into the hands of remote villagers is actually quite practical, and saw the results in the field, meeting the villagers, meeting the leaders of the villages, and really hearing the stories about how problem solving was helping them increase productivity. One woman stood up and said, “In the last six months, I’ve doubled my yields and my corn crop, and I bought a goat.” What that means is that woman now has an asset. She has a financial asset that puts her foot on the first rung of the economic development ladder. Those kinds of stories are just powerful. Ron: That’s incredible. Why do you feel lean principles and practices that we lean thinkers do on a regular basis, why are they so suited for this NGO environment? Steve: Let me answer that in the form of a response to what we did on day three and day four. We had amazingly intelligent, resourceful, passionate people at this NGO who were working their hardest everyday to deliver these services out into the field. As in for-profit organizations, many of them didn’t understand what the other people were doing. What we did in day three, day four, we didn’t exactly do a value stream map, I would call it more of a swim lane process map. There, we had everybody standing up with sticky notes and pens in front of a big wall covered with lecture paper where the various responsibility centers of standing up a program in a new part of a field, getting it going, and supporting it, and making it self-sustaining. For two days, everybody was up there saying, “Here’s what I do here, here are the problems I’m experiencing.” At the end of those two days, they were an energized team. They understood better than they ever had before what they were trying to do collectively and the things that were getting in their way. When I left them at the end of that week, when my wife and I left them, because we were both facilitating this workshop, they had a list of problems that they were working to solve. As a result of that, by the way, through Lean4NGO, I found a lean coach in Toronto who was willing to go to Uganda, his expenses paid but no revenue for six months. That just energized the whole organization. There are people out there who are at a point in their career or maybe they’re a coach within a corporate organization who has a partnership with an NGO who would love some experience in the field, doing something like that, not necessarily for six months, maybe for a month or maybe even for a week or two. The experience you get in the field, doing something like that, helps them, it helps you, and it helps bring some real life hands-on experience back into your organization. It’s a win-win-win for everybody. Ron: What are the biggest challenges for NGOs right now, especially as it relates to adopting lean? Steve: Every challenge you will find in a for-profit organization, you will find in a non-profit organization, with one exception. Anybody who’s been in a lean transformation journey in any for-profit company, name all of the challenges you had to overcome and you will find them in an NGO. The one thing you won’t find is a lack of passion and a lack of shared purpose. People work for NGOs, because they believe in it passionately. They’ll work excessive hours for low pay under tremendous circumstances. Particularly, when you’re in the field in a developing country, conditions on the ground change every day, so you got highly dynamic, often unstable situations to work in. With all that said, people are passionate, because they can see the results of their efforts. You don’t have that challenge, but what you do have is the challenge of heroic efforts. People will often just give until it hurts until they absolutely burnout. You see a lot of that in the NGO world. What I will also see, and for the sake of not offending people, I’ll try to be careful on how I say this, but less of an awareness of process and process excellence and process discipline. People in the NGO world are all about what can I do, how can I jump in and fix this. Sometimes, it’s hard to pull them back and say, “Now wait a minute. Let’s look at this as a process. Let’s look at this as learning journey and invest a little time up front.” To help people get over the hump, what you have to do is help them understand that if you do this, it will increase your effectiveness. It’ll increase your productivity. What that means is more kids getting fed every day, more kids going to school, more mothers getting adequate healthcare, societal benefits that are just extraordinary. If you can help make the lean journey connect with these people who are passionate about what they’re doing, that’s the best way to overcome that form of resistance. Ron: One question I have for you, Steve, kind of off-script here a little bit, I hope it’s OK to ask this. We can always edit if we need to. [laughs] You’ve mentioned several times now that you’re really impacting the female population of Uganda. Why is that? I don’t know how I should say it. Where are the men? [laughs] What’s going on there? Steve: For anyone that’s interested, there is a tremendous book written by two Pulitzer Prize-winning journalists called “Half the Sky.” If you read this book, you’ll understand that in most cultures around the world, half of the population is not being heard from is under-utilized, and that half of the population is the women. Women are nurturing, they’re innovative, they’re very hardworking. Now, for the sake of offending people, I’m going to say this anyways, because research, decades of research, shows that in developing countries, in any culture — it’s not just Africa, it’s not just Latin America, it’s not just Asia — in developing countries, the men are more likely, if they find they suddenly have a dollar in their pocket, they’re going to go spend it on themselves. The women, if they find a dollar in their pocket, they’re going to spend it on their kids for food, for clothing, for education. I’m sorry to say, that’s just the way it is. That’s why when you really want to move the needle on development in developing countries, you focus your efforts on the women. That is certainly not to say that all men are unreliable and aren’t worthy of the investment. It tends to work that way. That’s just how it is. Ron: Thank you for your honesty there. What can people do if they want to support your work for NGO or just non-profit work like this in general? What can they do? Can they volunteer their time? Can they send money? What can they do? Steve: First of all, what you can do to help the mission of Lean4NGO is just to visit the website, look around, join the LinkedIn group, look at the conversations, join in any conversations or start a new one, send to me case studies or examples, because the real impact at Lean4NGO is when we get more examples and more people willing to share what works and what doesn’t work. It’s a resource to help people who really want to go down this path. There are some amazing case studies, videos, examples already there. That’s all I would ask. Don’t force it on them. If they’re not interested, then don’t push it. Really, think about engaging with the leadership and saying, “Let’s do a pilot. Let’s do an experiment. Start it slowly. Make it experimental and see where it goes.” Use your professional expertise. If you’re a corporation and you have a lean transformation program on their way, chances are you have some coaches that would benefit by going out in the community, either your local community or your global community, and through your corporate social responsibility effort, give those coaches some experience in the field. Then bring them back and let them tell their story and share what they’ve learned so there’s a win-win-win on the corporate side as well. Ron: Something that is just really moving me right now, hearing what you’re talking about, and we haven’t even talked about this at all, offline, and it would need tremendous planning and thought. 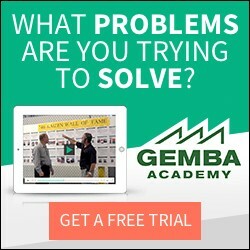 I wanted to throw it out there right now here on the show is Gemba Academy, obviously, we make training videos. In fact, we have customers in Africa using our videos. I want to find a way, and I don’t even know…we’re not going to figure it out here on the call, but I want to find a way for Gemba Academy to get more involved and how we can support it. I’ll tell you what. We do these things called Gemba Live, where we go to companies. In fact, we’re going to Menlo Innovations next week to shoot some stories with Richard Sheridan and his team over there. Steve: Say hi to Rich for me. Tell him to wear his Viking hat. Ron: I’m so pumped up for this Gemba Live. I can’t even tell you how excited I am. Anyhow, we do these. Why are we not, Greg, our videographer, and myself, jumping on a plane with you and flying to Uganda and spending a week, and teaching them, and bringing visibility to them that way? I would love to do something like that with you down the road. Steve: That would be great. I would love it. Tell a story. Ron: I definitely want to do that. I don’t know how we’re going to do it or what we’ll do, but we’ll figure that out, especially since you said they have cell coverage out there. We get them some iPads and there they go. They’re watching Gemba Academy videos from their field as long as they have a cellular connection. Steve: Absolutely. The powers of online learning and the powers of storytelling are huge. The big missing piece is you’re unlikely to be successful in the long run in a sustainable way unless you have a coach who’s there helping you from time to time. A lot of examples out there, people who give an hour a week or a little bit of time, over Skype, coaching people remotely is a really powerful thing. It’s really engaging. Ron: I’m not a fan of him or anything but this Brian Kelly guy with the Eagles — I don’t know if you follow the football or not — this guy is out there on his iPad, on a little rope. He can’t be out there on the practice field, but he’s there on his iPad. That’s brilliant. Why are lean consultants, these guys, traveling 350 days a year? I’m like, “Why?” Pull your iPad out and you can coach 10 people in a day instead of one company. Sometimes, I don’t get my lean consulting brothers’ [laughs] methods very well sometimes. Just be smart and use technology as it’s available. Steve: Just like the Khan Academy single-handedly redefined the whole world of global education idea. I think lean consultants and coaches have that same opportunity. There is no substitute for the Gemba. I would say that everyone who ever coaches non-profit in the field remotely, at some point, needs to see it. It will be one of the most rewarding things that I’ll ever do. Ron: Let’s talk offline. My business partner, Kevin Meyer…I don’t know if you know Kevin. Ron: Kevin’s going to Africa later in June. I’m not sure where he’s going. We need to talk about this offline. Let’s keep the show going here. Thank you for all that. It’s lean4ngo.org, and we’re going to have that information in the show notes. We actually have a schedule of podcast. I’m going to move this one up in the line, because this is so good. We’re going to have to go back and re-edit. I don’t want to give out the URL right now as far as where the show notes are going to be, but we’ll have that in the intro and the outro [laughs] of this episode. Let’s jump now, Steve, into the quick fire section. This is where you really get to share personal thoughts and wisdom, which obviously you’ve been doing, but you’re going to really share them about Steve now. We’re going to drill in on who Steve is. The first question, Steve, is we lean thinkers, we spend a lot of time talking about continuous improvement, obviously, but then we also spend a lot of time about respect for people. We hear those words a lot. Sometimes, it’s hard to put your finger on. In your opinion, Steve, what does respect for people mean? Steve: I will phrase this from the perspective of Lean4NGO. I will say that there are various ideas that people have — notions, biases, whatever — about what it means to be poor. I’m not talking about relative poor, which you have primarily in this country, relative poverty, but absolute poverty where people are living on one or two dollars equivalent a day. Where they don’t know where their next meal comes from, where they don’t know where the roof over their head is going to be that night, where they’re constantly under a threat in so many ways. This is, by the way, how about 80 percent of the population of the world lives. What does it really mean to feed your family and keep them safe and try to help the next generation to escape that? When you see it on the ground, when you meet these people, you realize anybody who’s living under such desperate conditions has to be incredibly resourceful and innovative and community-spirited in helping each other out. When you really see that firsthand and when you see what I see with the amazing things that giving, or not giving, lending $50, for example, to a woman in Africa to buy a sewing machine and some fabric or lending $10, literally, to a woman in Nepal so that she can buy scissors, comb, and a mirror, and start feeding her family by cutting people’s hair, that she could not afford that. Now that she has that vital asset, she can repay the loan in a matter of a few months and now, she has an asset and she has a business. You realize that these people need so little that we have to give including our expertise. That’s what it means to me. Ron: What’s one problem you’re currently trying to solve, Steve? Steve: The coaching problem. Lean4NGO has been very successful in reaching people in Africa, India, Asia, Latin America, for example, with stories, with tools, with books, with guidance. But you still need a one-on-one coaching relationship for an organization that really wants to make this work in the long run, because you can’t just practice lean out of a book. And so, that’s what I’m hoping ultimately Lean4NGO will do is become a clearing house where people who say, “I want to be a coach. Can you fix me up with someone who needs my coaching services?” I would love for Lean4NGO eventually be able to do that. Right now, though, all I can do is encourage people to go out in your own community or reach out and, say, find an organization that resonates with you and find some way through on-site, through Skype, through phone, whatever. Get a cadence of a relationship going with them where they can count on you for a while to help them through the initial learning journey that they so desperately need your help with. Ron: Steve, what’s the best advice you’ve ever received? Steve: The best advice that I’ve ever received — go see, ask why, show respect. Because whatever idea you have in your head about what those you are trying to serve need is liable to be wrong or at least incomplete. The people who own the process and who own the solution need your help, but you can’t presume you know what they need. So show a little humility and meet them where they live. Ron: Yeah, a secondary theme I think of this whole episode has been, in addition to helping people, bringing visibility. You kept talking about those visual controls in the beginning, but you have to see. You have to go to Gemba. The place that work is done. You have to go and you have to look with your own eyes and not depend on secondary stories and whatnot, even though they’re powerful. I’m moved by your words, but I’m sure it would be 10 times more if I actually experienced it with my own eyes and my own feet on the ground. Steve: Hopefully Kevin will write up some of his experiences. Ron: I’m sure he will. Steve: By different countries and he’ll share that with us. Ron: Yeah. Steve, do you have — on a different angle here — a personal productivity habit that you think others might benefit from? Steve: Yes, it’s that same Kanban technique that I shared earlier, which is to try to make my commitments and my demands and what I’m working on visible. It’s not always easy. It’s a discipline that requires constant attention but it really pays off. Ron: Right here next to my desk — it’s a podcast so you can’t see it — I have a big whiteboard. I’ve made it work for my situation. With all the videos we shoot, webinars, podcasts, and whatnot, the schedule can get crazy in what’s edited first, second third or fourth. We’ve got a whole bunch of sticky notes over here on what’s on the tap for today and what we’ve got coming up next week and so forth. Without having visibility, you really start to go nuts. You become overwhelmed. But when you get it all up in front of you, it might still look overwhelming, but you at least have a plan. Steve: The moment you can see where the problem is, whether there’s too much work or not enough processing of prioritization of demand, at least it gives you a fighting chance to do something about it. Ron: Something that we like to do, I don’t know if this is in the Agile rule book or not, but all the completed items we do, we have it all in one little row over there with a whole bunch of sticky notes. It makes you feel good that we’ve gotten a lot done over the month or so. Steve: One of the Agile tenants that I like is to ask yourself, what does “done” mean really? Move that little sticky note into the done column. Are you really done? Ron: Yeah, that’s a good point. Steve: Have you put whatever you’ve delivered into the hands of somebody or have you actually validated that it’s delivering the value it was intended? That’s a big difference. Ron: That’s a great point. Even our situation, we might edit a video, might release it, but then we may go back to it and get some feedback and tweak it or update ever so slightly. So that’s a great point. Hey, Steve, if you could recommend one book, and I’m sure you’ve read many, many books. But if you could recommend one book related to continuous improvement or leadership, what would it be and why? Steve: There are so many in the last few years, but I don’t have a problem answering this question. “Toyota Kata” by Mike Rother. I read it and reread it three or four times now. I come out with something new every time. I see it being discussed everywhere. It is a book that is not only popular in the lean community, but is popular in the Agile community as well. It’s really brought us together. It’s such a simple set of practices, but it’s really the thinking process. So that’s my one. Ron: We’ve done…I don’t know how many episodes we’ve done now, but Toyota Kata is definitely running away with as being the most recommended book. In fact, we did a whole episode with Michael Lombard, who’s a huge Toyota Kata believer and uses it in his hospital. So good stuff. Mike Rother’s a great guy. Ron: Last question, Steve. Let’s imagine that you’ve been hired as the general manager of a company that’s struggling with quality, productivity, poor morale. Really they’re just a mess. You were hired because of your background and your experience and past success. That CEO that hired you has given you complete operational and financial –you have full P&L control — and the CEO trusts that you’re going to right the ship. With this said, what would your first week on the job look like? What would you do and why? Steve: I would go see, ask why, and show respect. I would try to learn firsthand on the ground as much about the situation as I possibly could before making any decisions or imposing any of my ideas or my will on anyone. Now, in the rare case that there was literally a crisis, if there was something where an intervention were needed in order to stop a bleeding, I would get the whole leadership team in the room and do a thorough problem analysis. Pull out an A3 and do a problem analysis and make an intervention if it was necessary. But in most cases, I would resist that and I would just go learn, because most often you’ll find that it’s just a communication problem. It’s a problem-solving problem, and to step in and throw your ideas on top of everybody else’s without really understanding what’s going on, you’re just going to introduce more noise into the situation and you’re going to disempower a whole lot of people. Ron: Steve, thank you so much for taking time out of your day. I’m really moved by this episode. I really hope it resonates with the folks that are listening to this right now. I want to call out your website again, lean4ngo.org. I want to just close the show, Steve, if you could maybe share some final words of wisdom and then tell people how they can connect with you through your website and any other social media outlets that you might be active on. Steve: Wisdom, that’s a big word. I think, hopefully, have shared a little bit already through this section but I would say just learn. Be curious and always ask why. There’s a whole lot of learning to be done on this journey. As far as reaching out to me, you can get to me indirectly through lean4ngo.org, but if you want to reach out to me directly, my website is leanitstrategies.com. Ron: We’ll put a link to that in the show notes, leanitstrategies.com. Again, thank you so much, Steve. Hopefully, everyone will go visit your website and support the work that you’re doing. I do want to say thank you for everything that you’re doing for those folks and I look forward to figuring out a way that Gemba Academy can be more involved in the work that you’re doing, and I really do mean it about someday going over there and getting on the ground with you and supporting you guys however we can. Steve: Let’s go. Ron, thank you for your time and your enthusiasm. I appreciate it. Announcer: Thanks for listening to the Gemba Academy Podcast. Now it’s time to take a free no-strings-attached fully-functional test drive of Gemba Academy’s School of Lean and Six Sigma over at gembaacademy.com. Gain immediate access to more than 500 Lean and Six Sigma training videos free of charge at GembaAcademy.com. Did you enjoy this episode? What are your thoughts on using lean for social good? If you’re already involved in these efforts, I’d love to hear your stories.